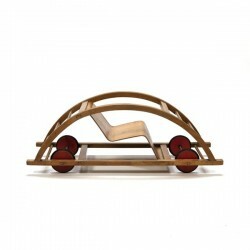 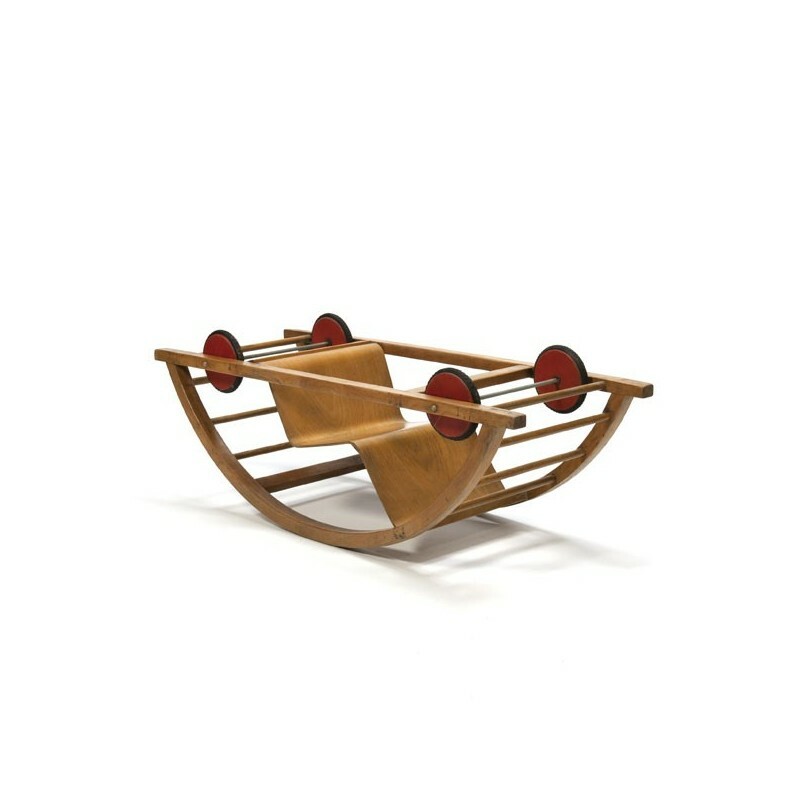 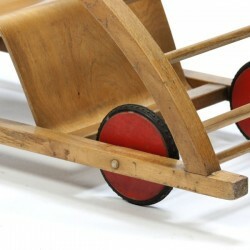 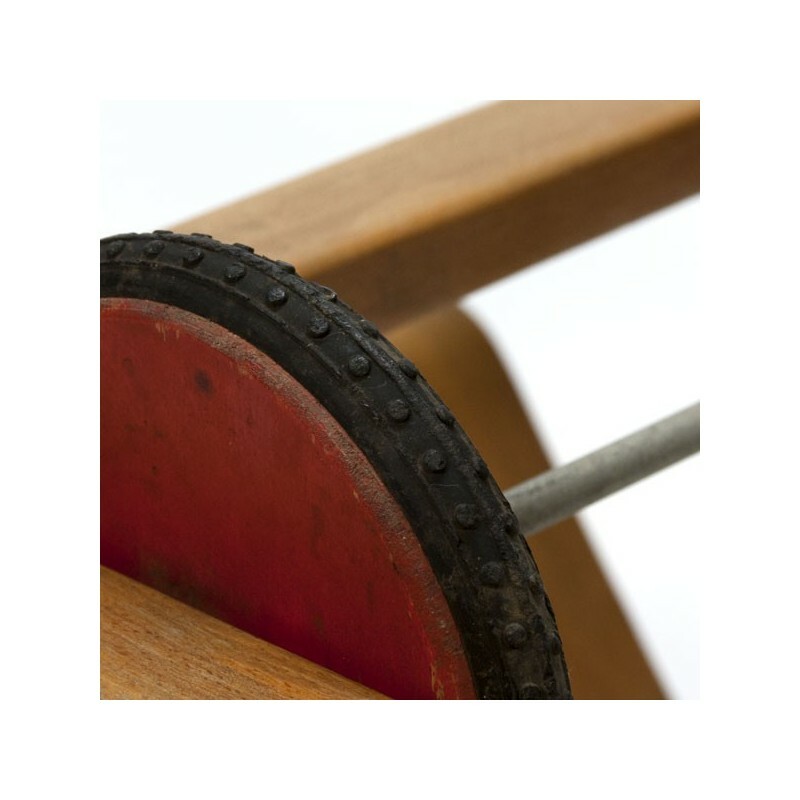 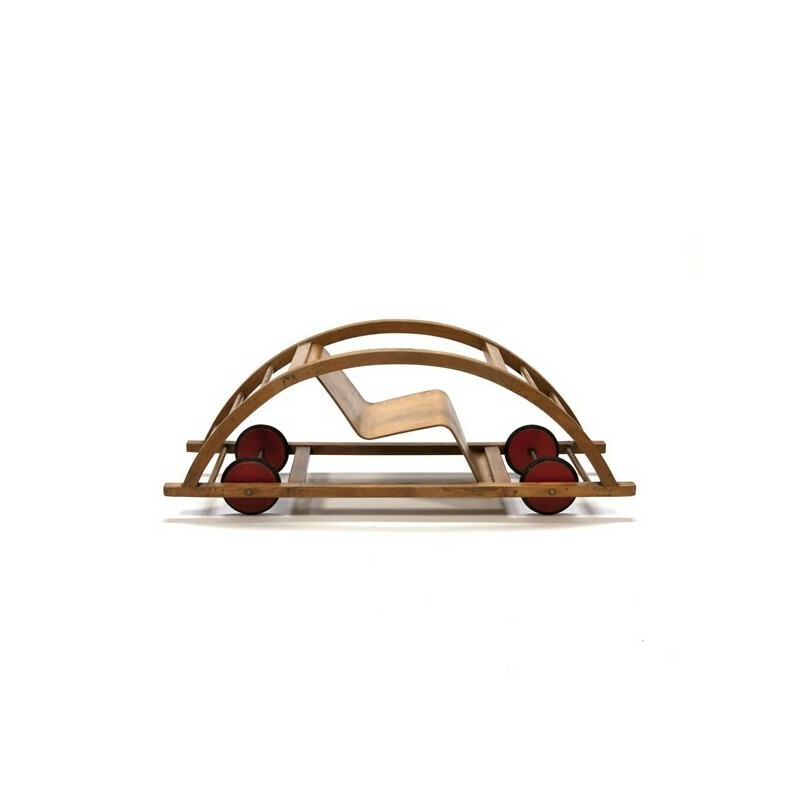 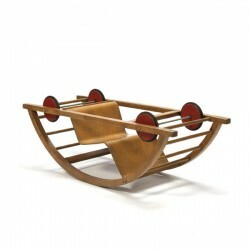 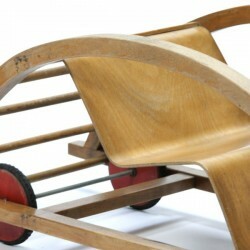 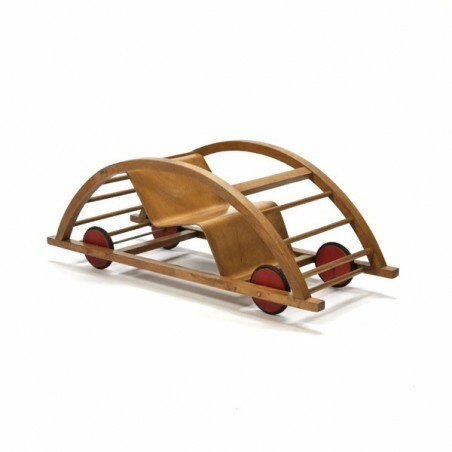 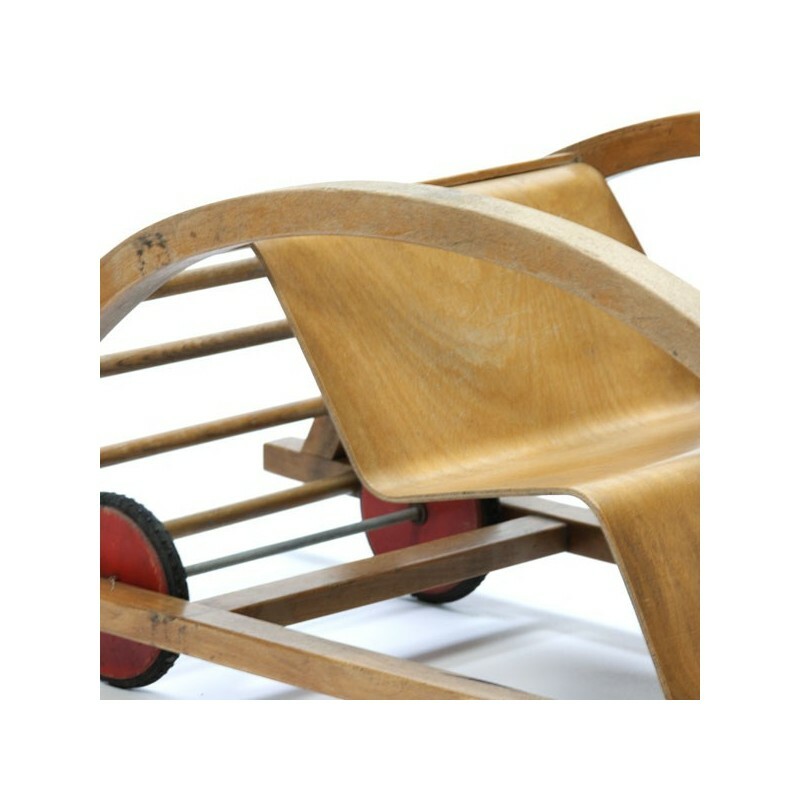 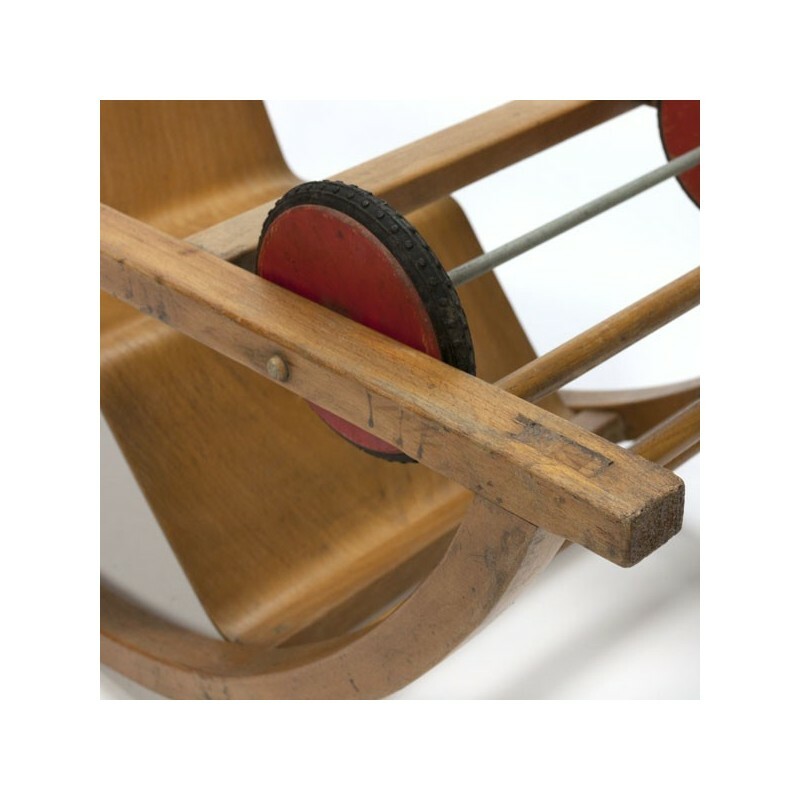 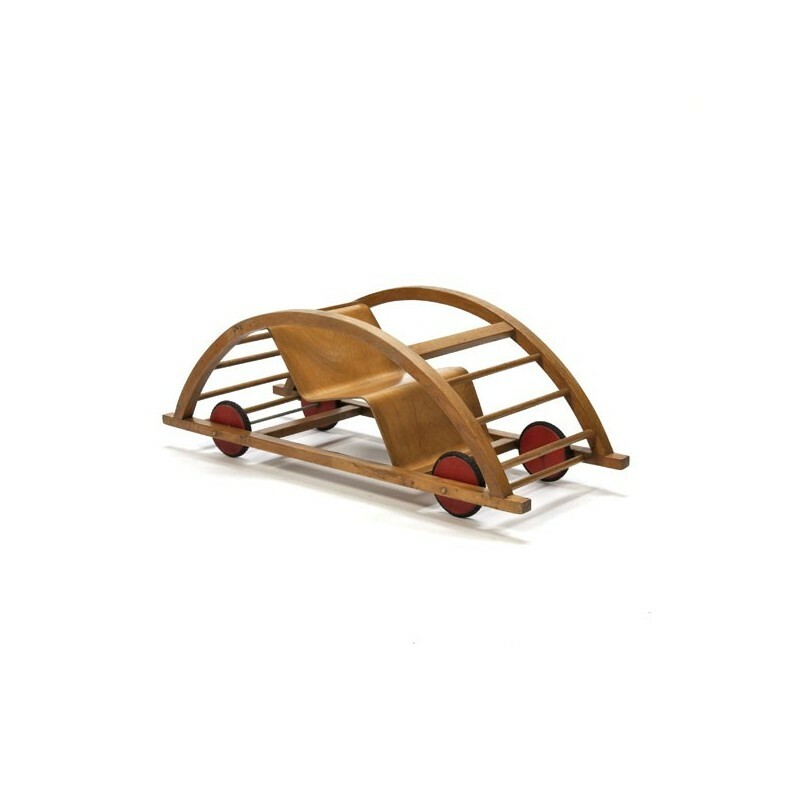 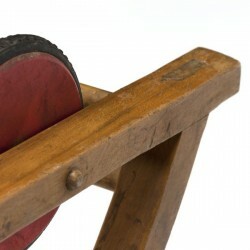 Vintage children's car / ​​rocking horse with plywood seat, designed by Hans Brockhage, under the supervision of Bauhaus master Mart Stam, in 1950. 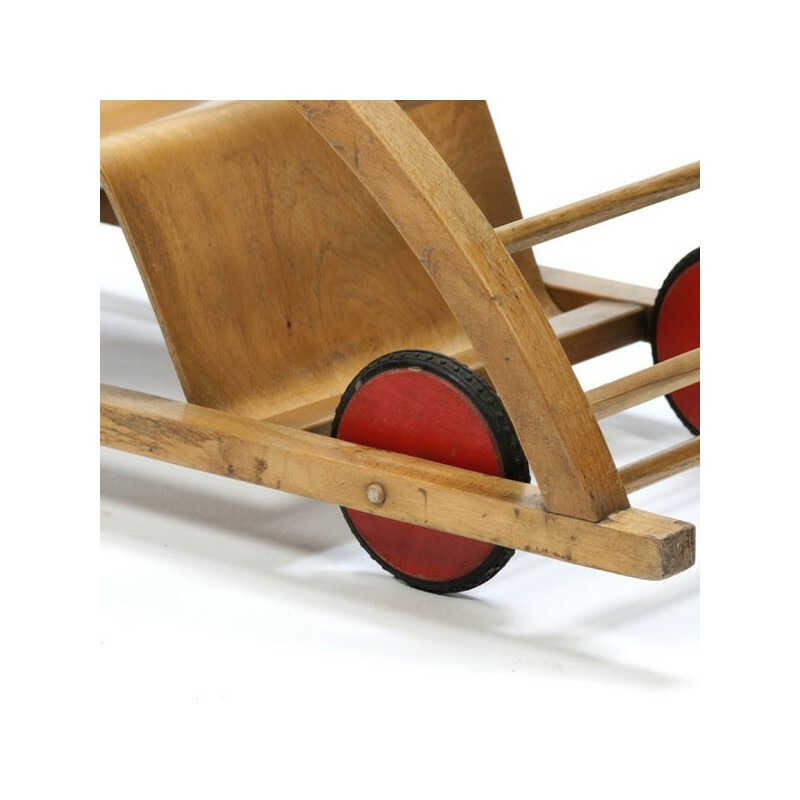 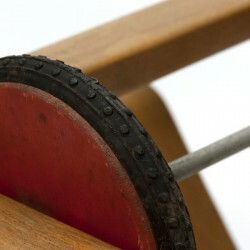 It is a first edition with red wheels. 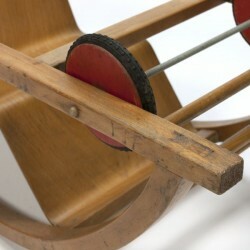 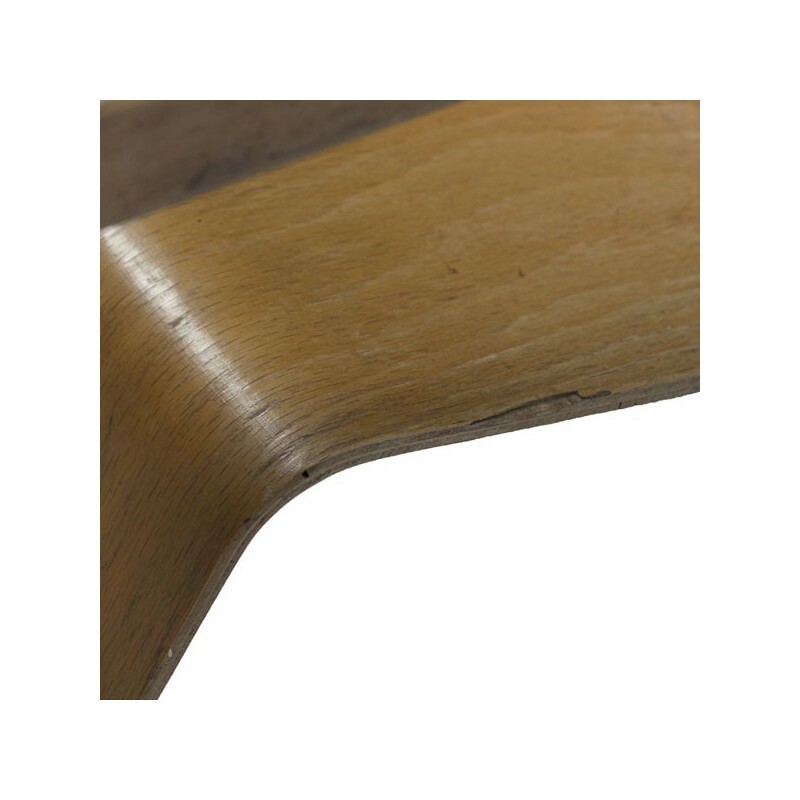 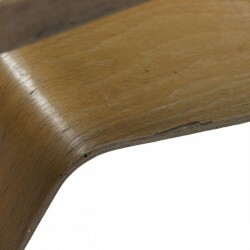 The condition is good considering the age, there are traces of use, for details, see the pictures. 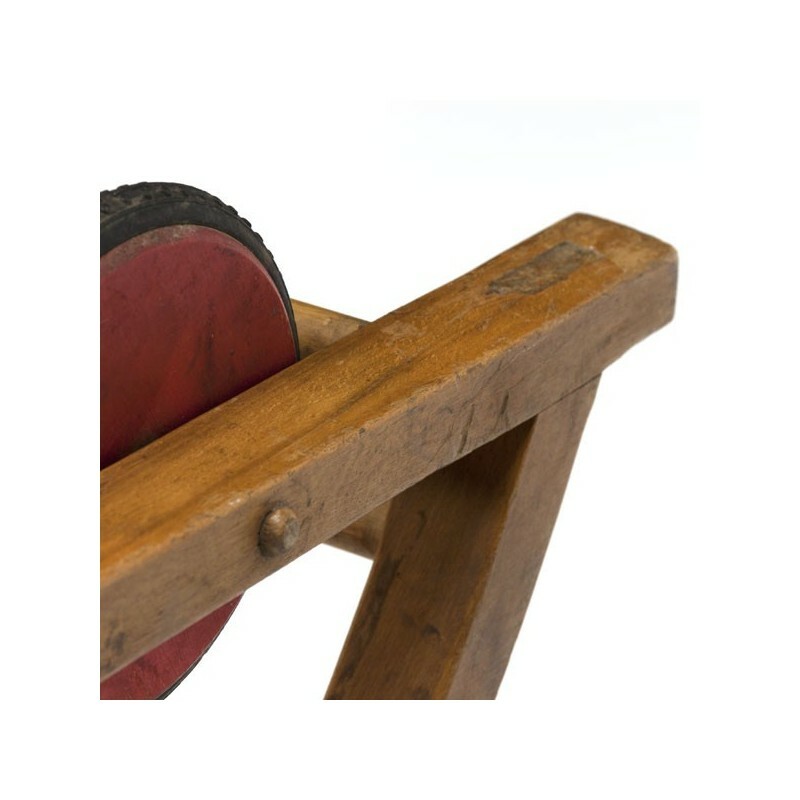 The size is 100 cm L / 38.5 cm W/ 37.5 cm H.